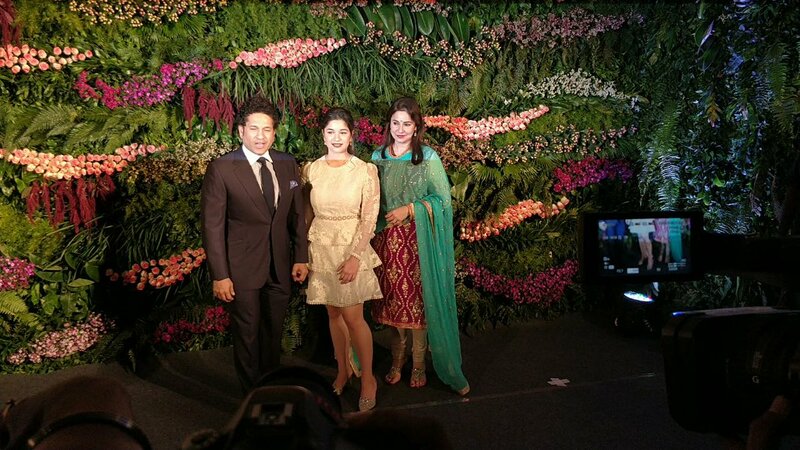 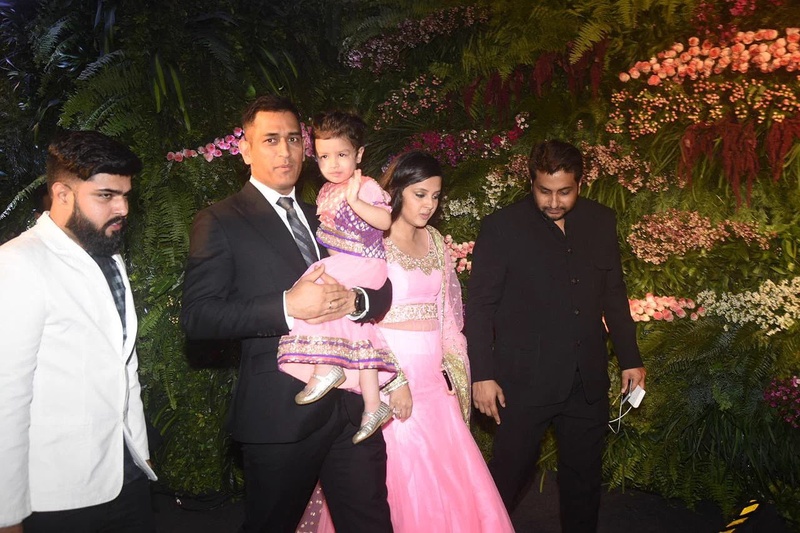 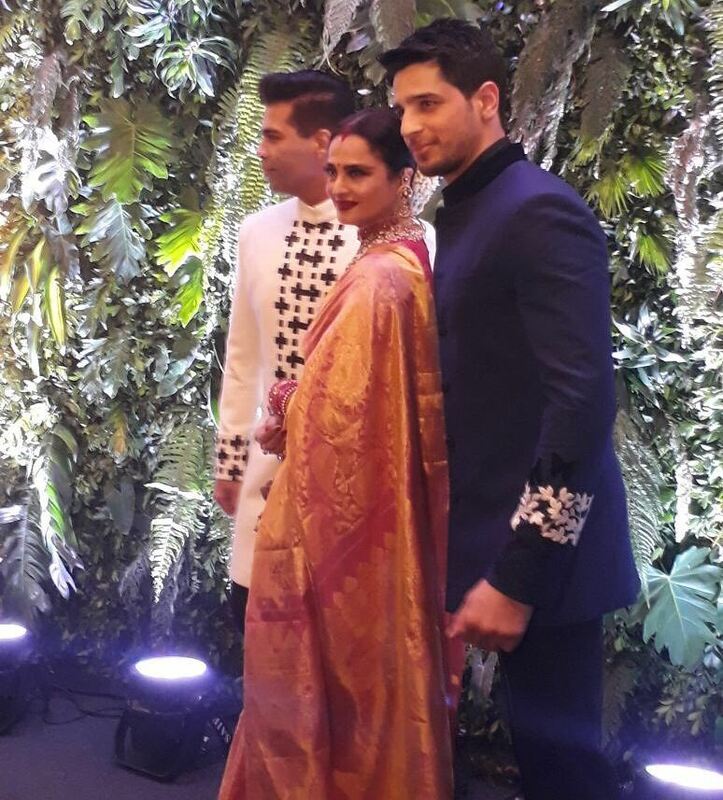 Inside Photos: SRK, Madhuri, Kangana, Dhoni At Virushka’s Grand Wedding Reception In Mumbai! 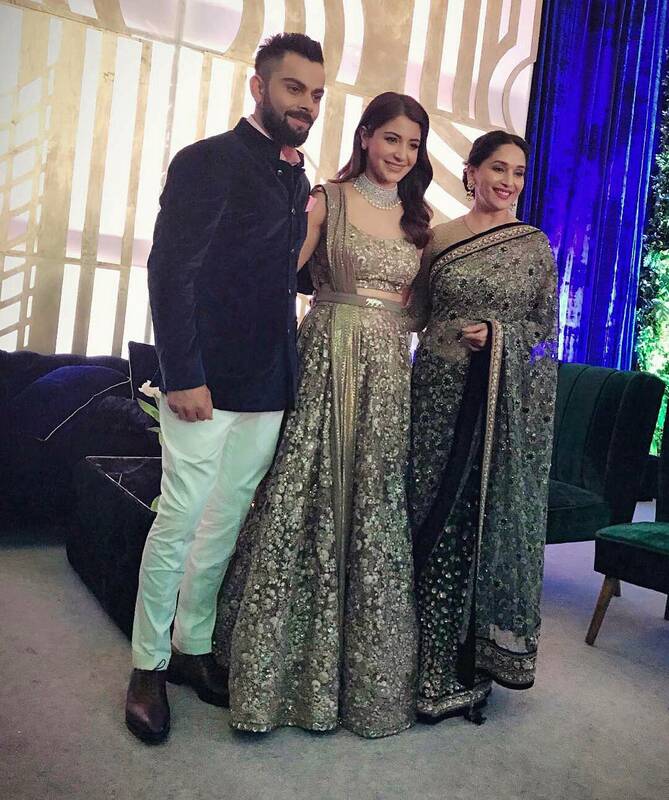 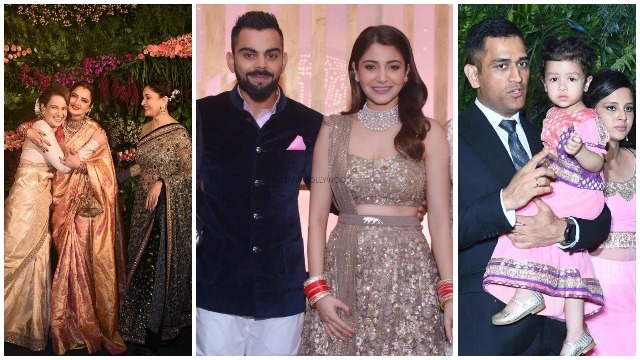 Newlyweds Anushka Sharma and Virat Kohli’s wedding reception was indeed a star-studded affair. 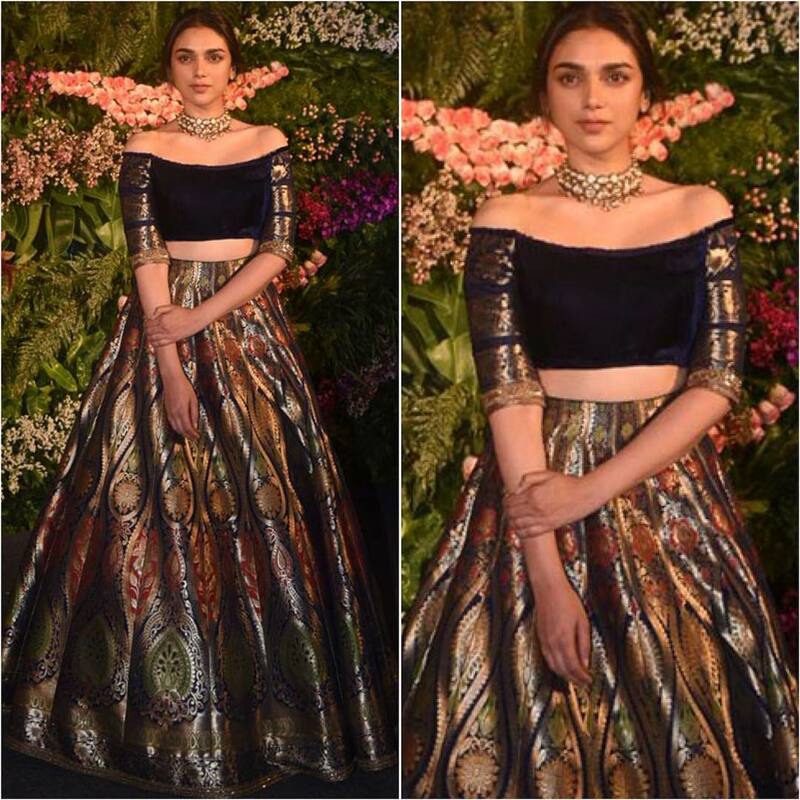 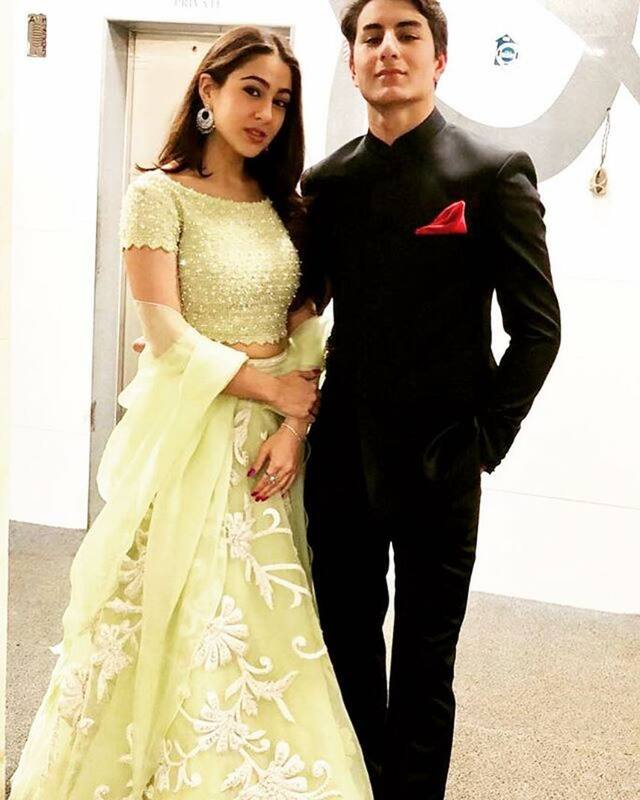 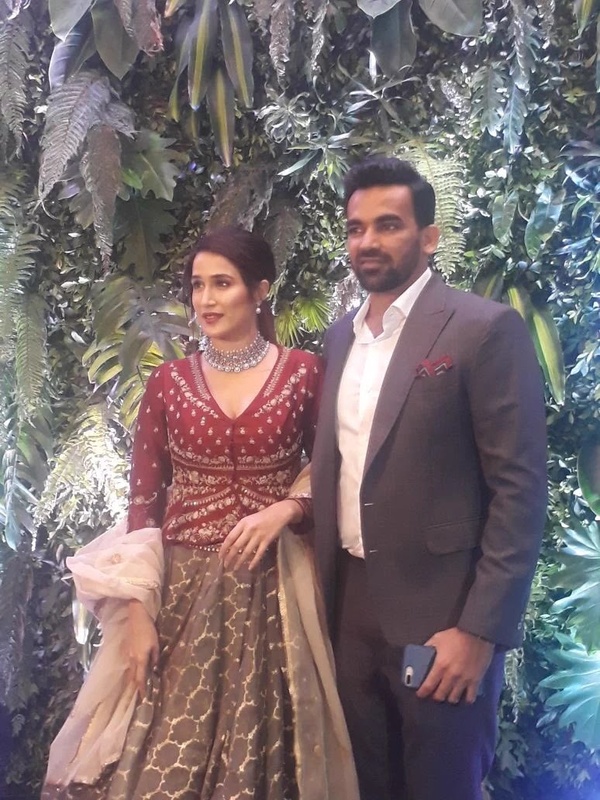 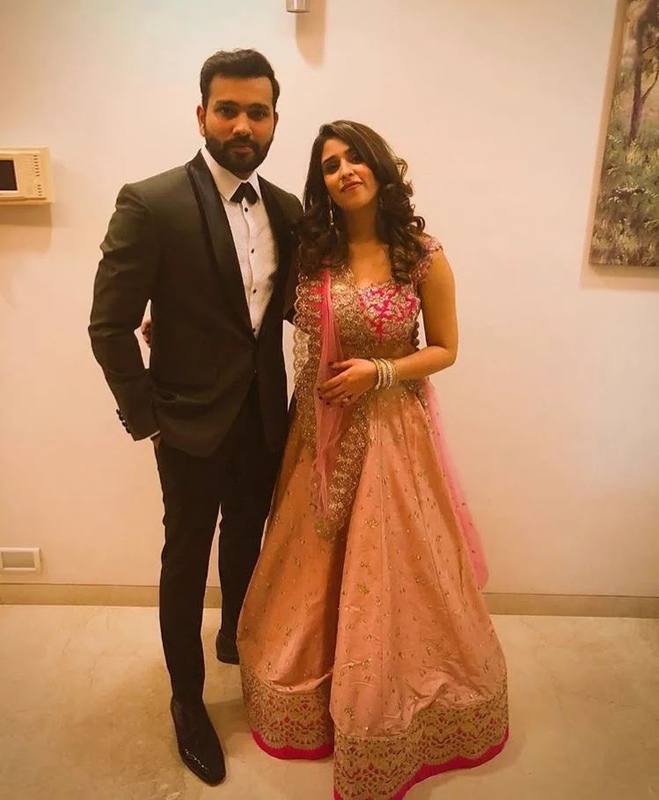 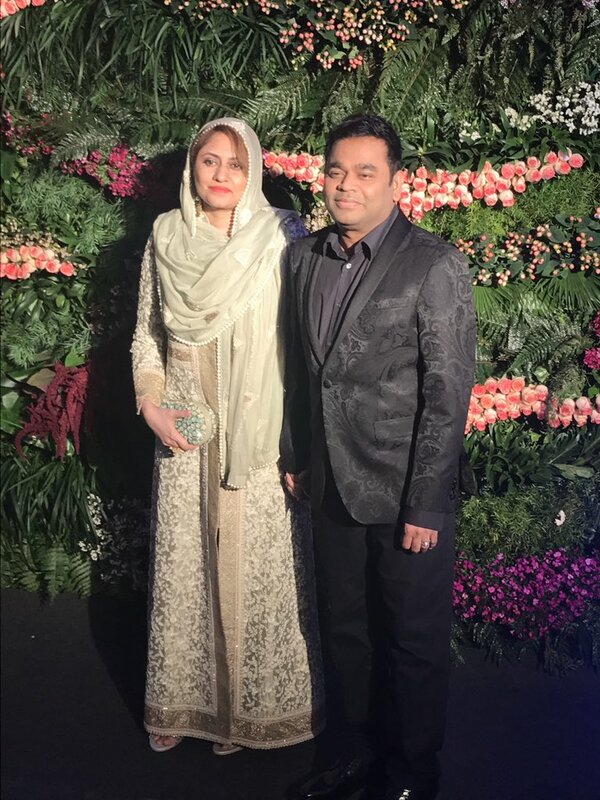 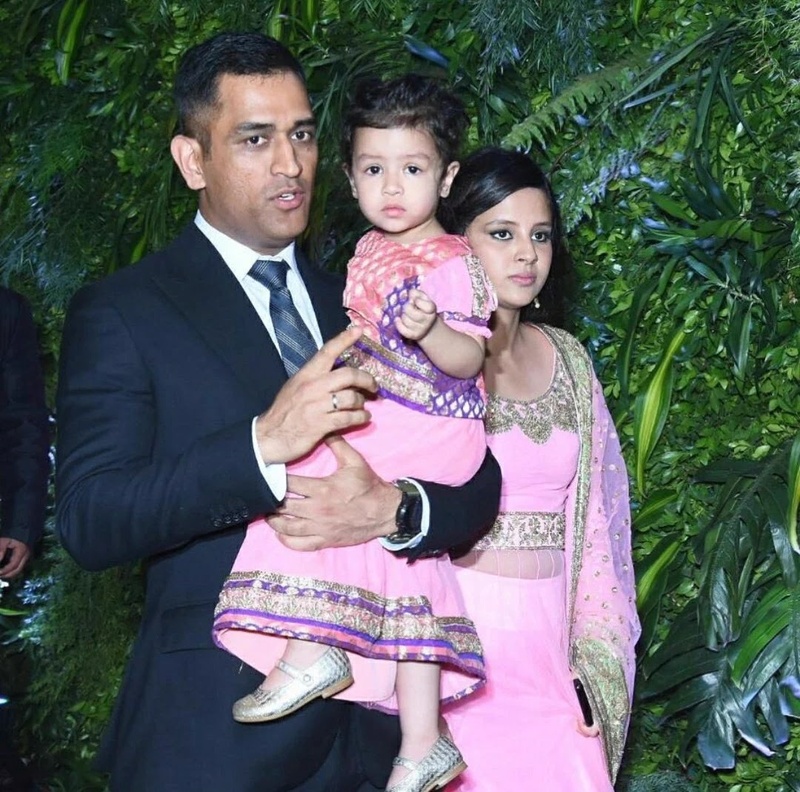 After the grand wedding reception in Delhi on December 21, the couple hosted another party for Bollywood celebrities and Cricket fraternity. 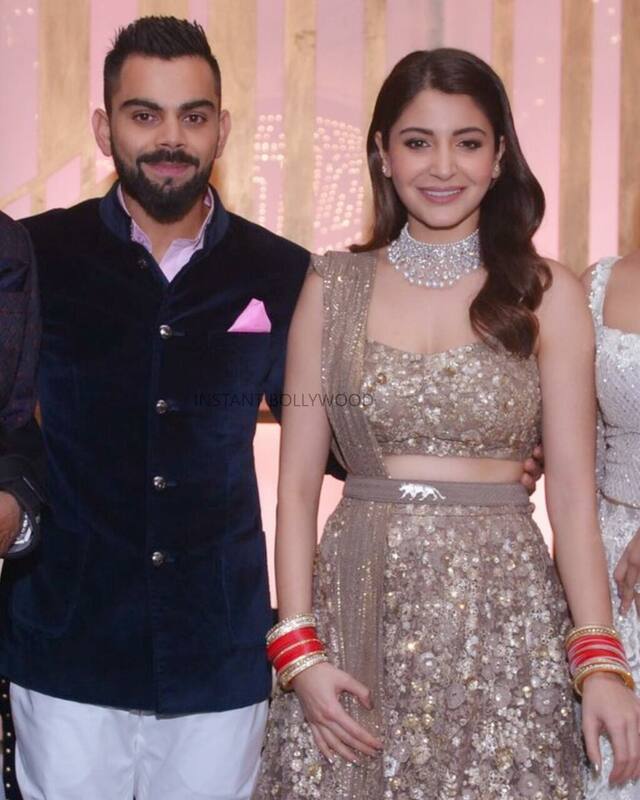 Anushka Sharma looked gorgeous in another Sabyasachi embellished lehenga while Virat looked dapper in velvet blazer paired with white pants. 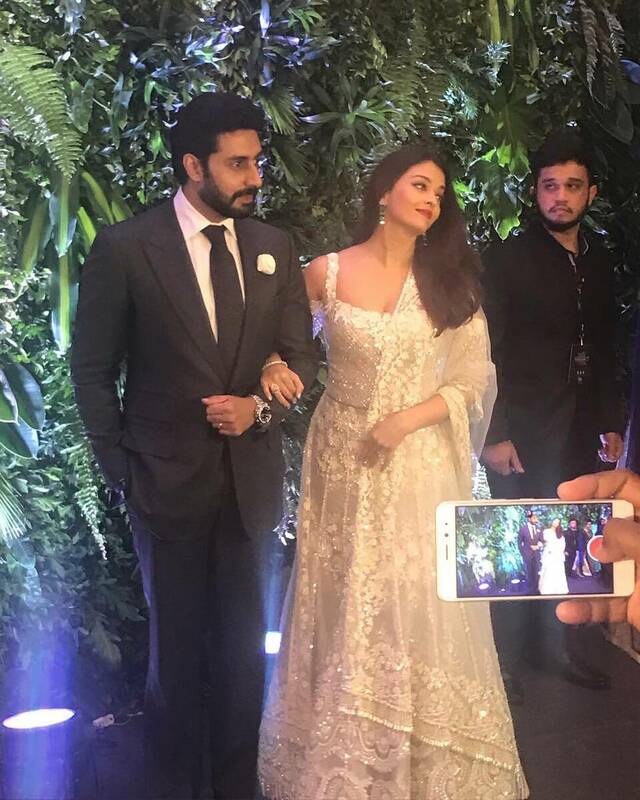 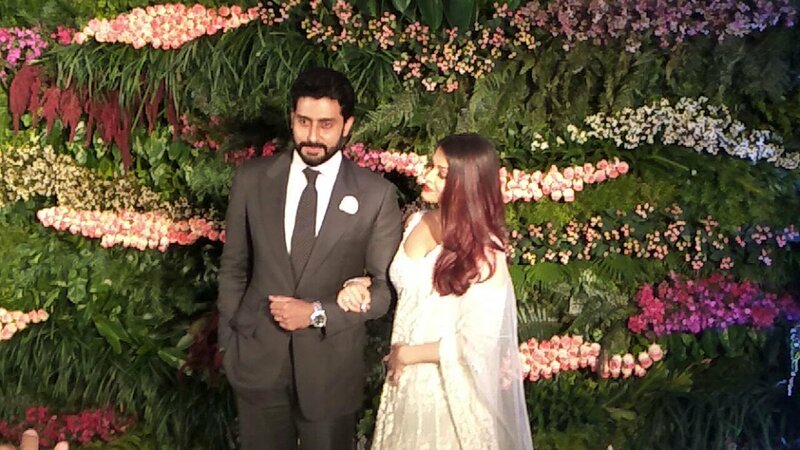 The two were all smiles for the shutterbugs as they arrived for the grand reception. 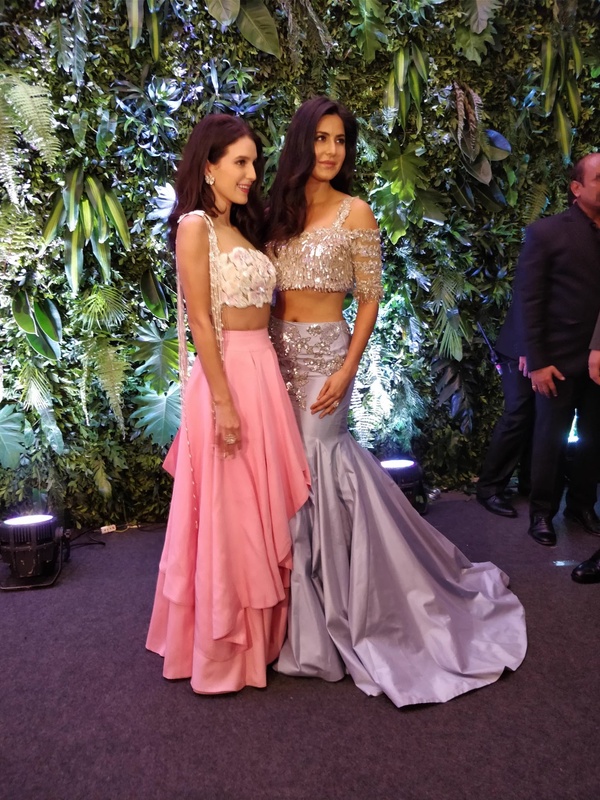 From Shah Rukh Khan to Ranbir Kapoor, Katrina Kaif, Kangana Ranaut, Karan Johar and many others showed their presence. 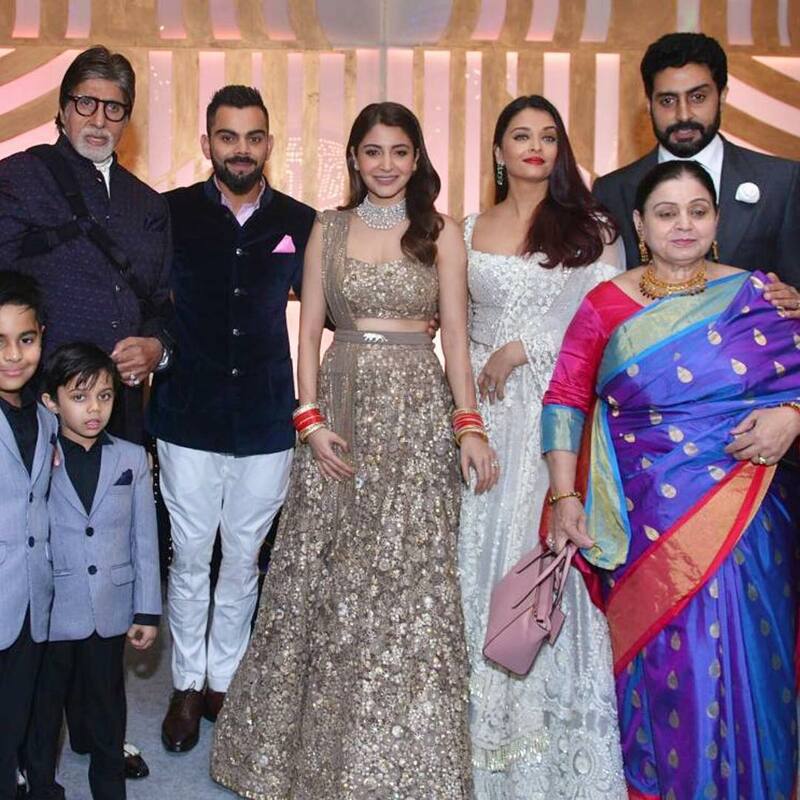 Also seen were Bachchan family members, Aishwarya, Abhishek, Amitabh Bachchan and Shweta Nanda Bachchan. 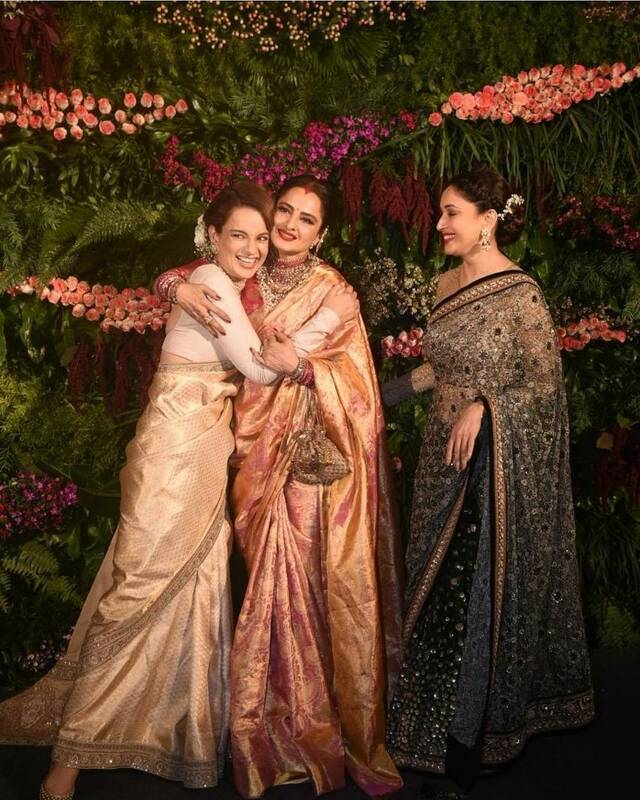 Veterans Rekha, Sridevi, Madhuri Dixit looked gorgeous and graceful in their elegant outfits. 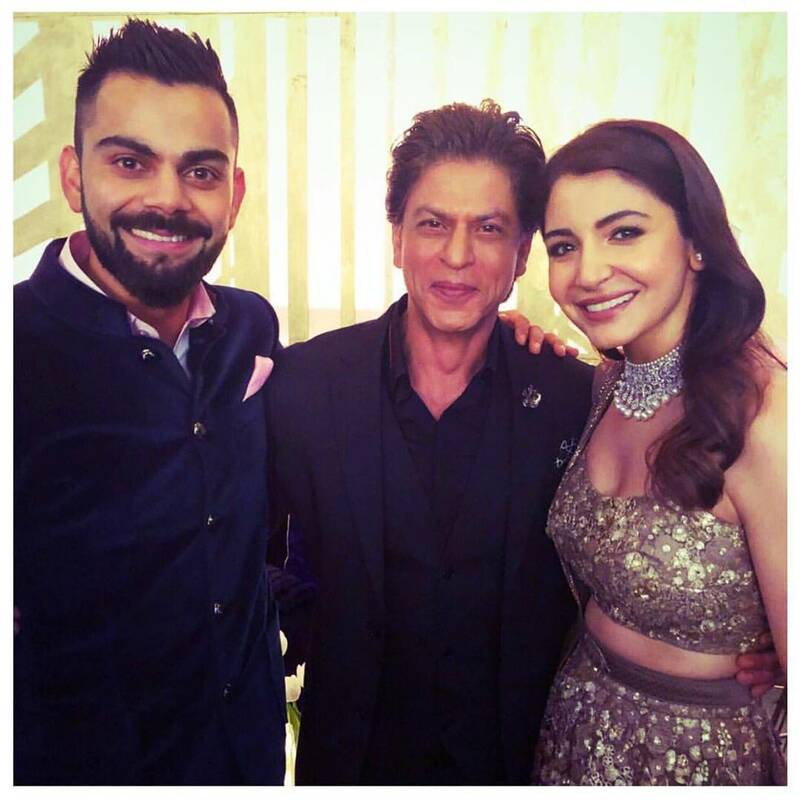 Do not forget to watch Shah Rukh Khan’s dance performance for his best friend Anushka Sharma. 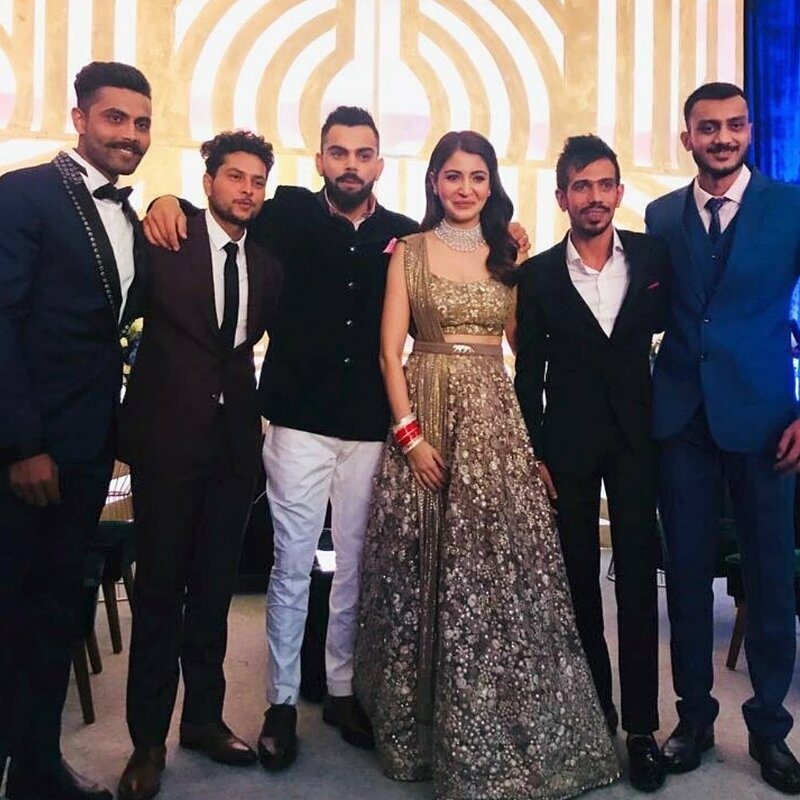 The Cricket fraternity was no less in making grand appearances. 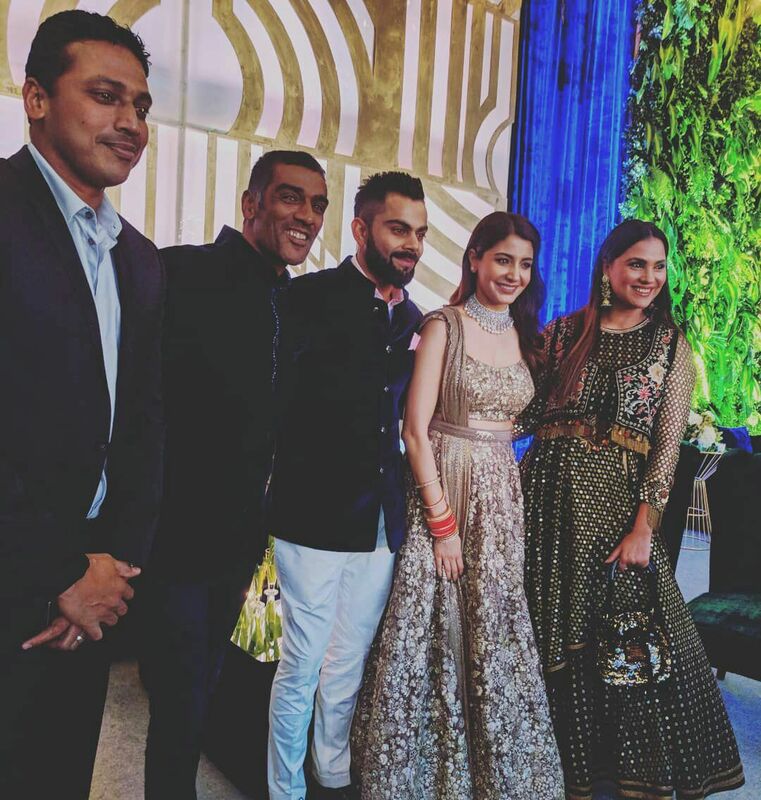 From Sachin Tendulkar to M.S Dhoni, Hardik Pandya, Sehwag, former coach Sandeep Patil, Anil Kumble among many clicked at the #Virushka wedding reception.